I recently reflected on what it was that helped me to remain in the teaching profession through the five-year mark. A sound piece of wisdom to 'be present in all that you do' helped me to identify five main areas of my life that needed equal attention. 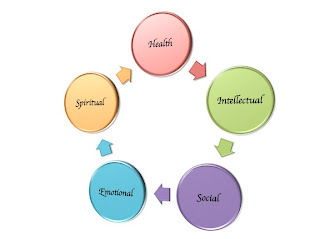 The five pillars of balance, for me were: health, intellectual, social, emotional, and spiritual. Having an equitable dedication to developing and honing each of these aspects of my life helped me to be a balanced person and successful professional. New teachers and pre-service teachers can benefit from developing personal balance early on in their careers. I wish I knew earlier what I know now about balance. This has led me to try and enumerate the ways in which I have found success in achieving and maintaining balance. I offer the following ideas for consideration to my fellow educators, especially those in the field for less than five years, as a way to guide you to the balanced present life. Keeping balance is very important. Thanks for valuable information. You may also examine this page on writing a research paper conclusion.